Located at the entrance of Val David, the Ski station Vallée Bleue is perfect for those who are in a hurry and don’t want to miss their favorite sport. 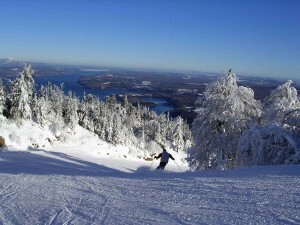 Less than 5 minutes by car, Mont Belle-neige Ski Station is ideal for family ski and snowboarding. The ski school specializes in teaching children. One of the finest, well maintained marked trails networks in the Laurentians. 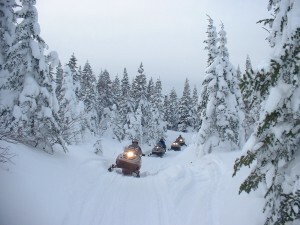 With more than 2800 km of trails, the Laurentians offers some of the best snowmobile excursions. From a one hour ride to a 2 or 3 days package, many snowmobile center will offer you the experience of your life. More than 30 km of marked and maintained trails. You will find a variety of trails, from beginner to expert in the Parc régional de Val-David-Val-Morin. Since La Ferme Duquette is open year-round, you can also enjoy a brisk sleigh ride through forested, snow-covered trails, a great way to lift your spirits on a sunny winter day! 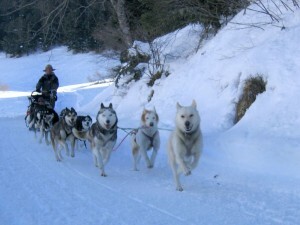 After a brief training session, you will drive your very own dog sled under the supervision of our guides. Let our beautiful dogs introduce you to unforgettable Quebec landscapes.